May is consistently ranked as Americans’ favorite month and at Renaissance Plastic Surgery, we’re pretty big fans, too. The flowers are blooming, the temperatures are rising and all things truly do seem possible. 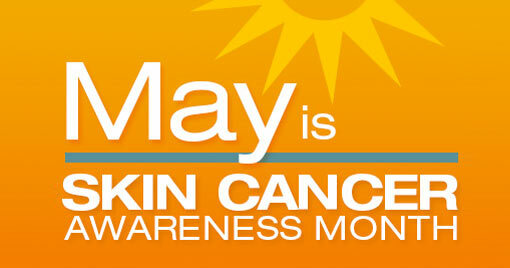 It’s fitting that this month is also Skin Cancer Awareness Month. Did you know that one in five Americans will develop skin cancer in the course of a lifetime?Skin cancer is mainly a lifestyle disease, which means that it can be prevented with some behavior changes. Adopting a complete sun protection strategy can drastically reduce skin cancer risk. • Avoid tanning and UV tanning beds. • Apply 1 ounce (2 tablespoons) of sunscreen to your entire body 30 minutes before going outside.Reapply every two hours or immediately after swimming or excessive sweating.